Pilege21 asked the Other Software & Services forum to recommend a program that can provide hardware information. For a wide variety of information, I'd go with the free, portable version of System Information for Windows (SIW). Why the portable version? Because in my opinion, you shouldn't have to install a program for this particular chore. You're not going to run it all that often. Besides, you can put the portable version on a flash drive and use it to help other people with their computers. Indeed, if I had known that there was a portable version of SIW when I wrote The Bootable Maintenance Flash Drive, I would have included it there. So what can you find out with SIW? All sorts of things. 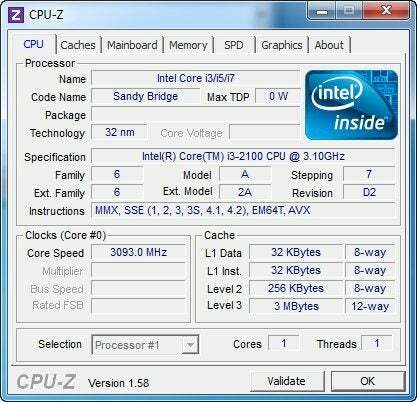 Click on the CPU section under Hardware, and you'll see the number of cores and logical processors, the chip's name and code name, the socket type, and whether virtual technology is enabled--to name just a few options. 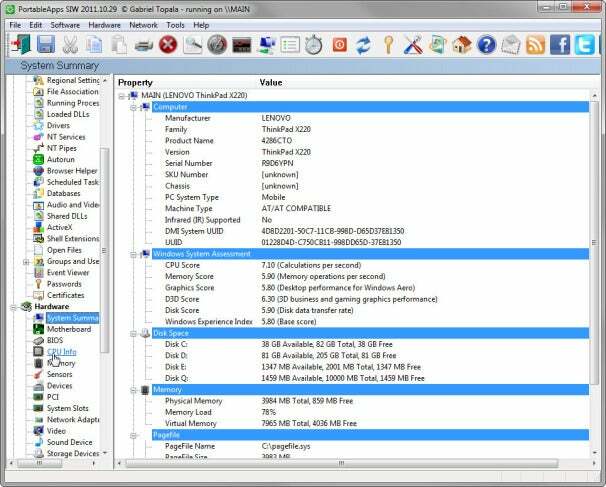 You can get similarly information-dense pages on Memory, BIOS, Storage Devices, and other physical parts of your computer. The software section will tell you about your version of Windows, installed programs, your drivers, and more. Via the icons on the toolbar, you can save an HTML report, check CPU and memory usage or network traffic, and even test the speed of your Internet connection. You'll almost certainly find what you're looking for in SIW, but the information can easily overwhelm you. That's probably why, in the original forum discussion, both LiveBrianD and compnovo recommended another program: CPU-Z. This provides much less information--all on hardware--but it's easier to find what you're looking for.